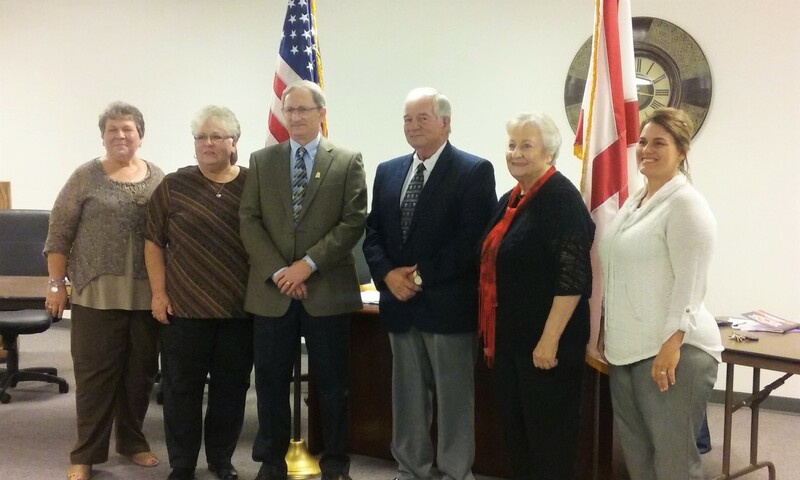 HOLLY POND – Monday night's town council meeting in Holly Pond saw the swearing-in of new mayor Bill Oliver and the members of the council. Oliver was elected after outgoing Holly Pond Mayor Herman Nail, who has worked for the town in some capacity since 1980, announced over the summer that he would not be seeking a third term. The invocation was delivered by Scott Adams, and Judge Kim Chaney administered the oaths of office. After the ceremony was complete, Oliver brought up the first order of business, which was the appointing a mayor pro-tem. Brown was nominated and subsequently appointed to the position. Some things stayed the same; for example, the council meetings will still be held in the Guy Hunt library at 7 p.m. on the first Monday of each month, and the council also agreed to continue using the same bank for the town funds. Other things were changed only slightly, like the rules for each meeting. The rules largely stayed the same, but two provisions were offered: (1) imposing a limit on the amount of public input is permitted once the meeting has started and (2) not voting on large issues during the same meeting when they were introduced. Oliver also appointed each council member the head of a committee. Thomas is in charge of Beautification, Hart is in charge of Lighting, Bell will head the Parks and Recreation committee, Brown will head Safety and Wisener was appointed the head of Sewage, much to the amusement of meeting attendees. The mayor was also formally appointed as superintendent of utilities. Other resolved issues included the appointment of Dan Willingham as the town attorney for the next 30 days until the motion can be formally passed, and the council members also examined the most recent audit, which yielded no issues or causes for concern. The meeting adjourned after the council members voted to continue operating under the old budget until the new one could be put in place during the December meeting. When asked afterward if he had any specific plans for the town of Holly Pond, Oliver stated that he and the other council members would like to work on lighting, beautification, the building of storm shelters and just making Holly Pond a town that people could be even more proud of.